According to Flashbak, Računari was a computer magazine of the former Yugoslavia which lasted from 1984 until the late 1990s – surviving the economic turbulence and wars of the 1980s-90s, and even outlasting the country itself. The title simply means “computers” – and its content was just that: very bland, very technical, nothing flashy… but its covers were another matter entirely. 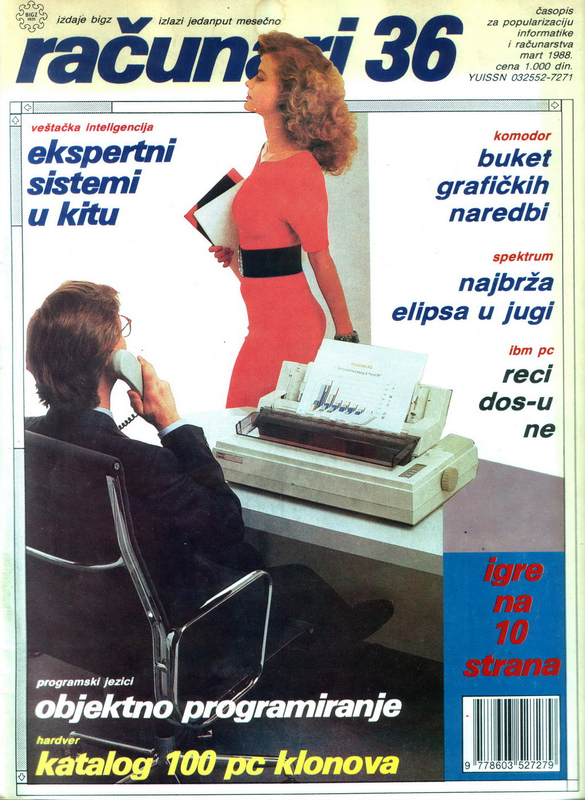 Let’s have a look at some of these Yugoslavian computer magazine covers spanning from the late 1980s and into the early 1990s.